Good news always comes in waves when it comes to the books, which means I have TWO bits of exciting news to share about two very different books! First, let's talk about release day! The Billionaire Next Door swaggered into the world on Tuesday, October 25th and took reviewers and readers by storm! So many of you love Tag's specific brand of charm, nonchalance, and mixed-bag of cocky confidence and humility, which means you and me? Totally on the same page! 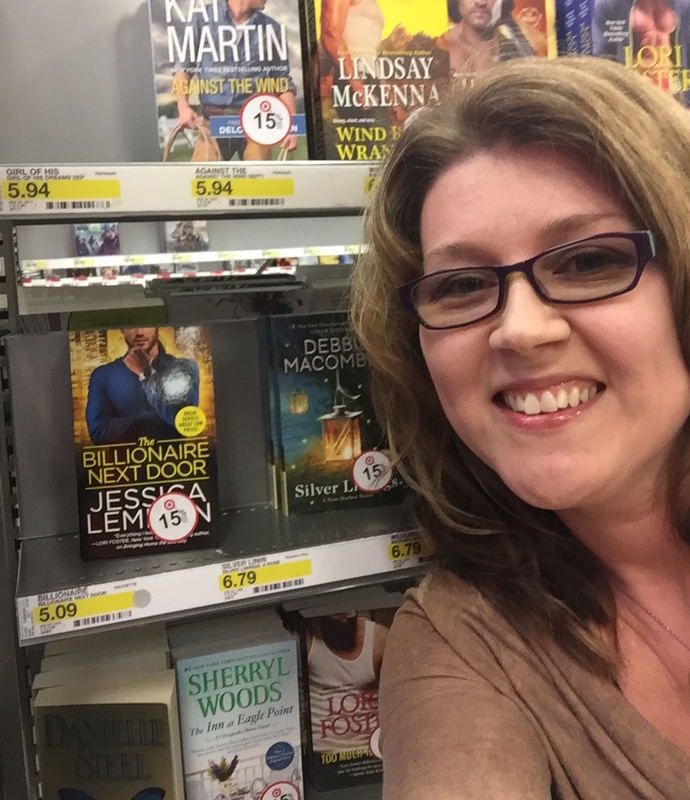 In other FANTASTIC OMG news, The Billionaire Next Door was shelved in Target! That may not sound like too big of a deal to you as a reader (it certainly wasn't a big deal to me as before I wrote a book), but trust me when I say that Target is a very difficult store to get a book into! It's true! Target's Mass Market Paperback section is teensy, so to see my beloved Tag on a shelf next to heavy-hitter Debbie Macomber was a magical and humbling experience. Will my books be in Target again? Hopefully! One way to ensure that happens is to go to your local Target and buy a copy! The more they fly off the shelves, the better shape we're in for future red-dot appearances. I couldn't help myself! Seeing one of my favorite books in Target was monumental. Sharing the day with my mom was even better... she even bought a copy of Tag's book for herself. 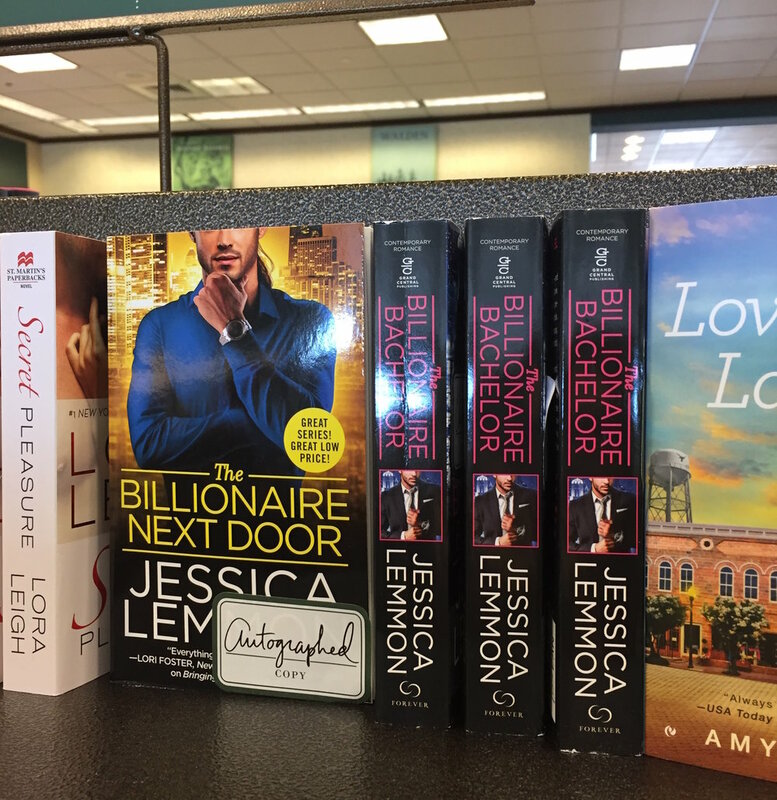 Never to be left out, I also stopped by my local Barnes & Noble and signed the in-stock copies of The Billionaire Next Door with a special message to whatever lucky reader discovers my Tarzan-like billionaire with a heart of gold. Have you picked up a copy of Tag's book yet? In more super-fun news, my publisher Random House has been working on a re-cover for my first book with them! New always excites me, so when I learned that Fighting for Devlin was getting a makeover, I was really excited. AND I WAS MORE EXCITED. Somehow they managed to make only a few subtle changes, yet it made ALL the difference. Don't get me wrong--I LOVED the cover before! The green, the font, the style. But I like the crisp, clean lines and the gold accents as well. Here, in makeover style, are the BEFORE and AFTER covers for Fighting for Devlin! See what I mean about how the before is beautiful but the after has been updated and cleaned up to reflect the times? Why the attention, you ask? Well, because the (loosely-tied-in) book 2, Shut Up and Kiss Me will be coming out December 6! The tones in the books differ, so Random House liked keeping the covers to match the story. Devlin's dark and dastardly, whereas Caden is lighter. In case you missed it, Devlin's book can be ordered HERE! If you spot The Billionaire Next Door in your local Target or Walmart or Kroger or Publix... Please snap a pic and tag me on Twitter or Facebook! I'd love to see them!